The Alliance française de Lyon is an institute of higher education dedicated to the teaching of French and French-speaking cultures. It has received the FLE (French as a Foreign Language) quality certification. It is the first Alliance française to have been named a UNESCO Club and is a member of the worldwide network of Alliances françaises (AF), which has organisations in 137 countries. Each year it welcomes more than 2,600 students, including expatriates working for companies in the Lyon region. It is a unique place of learning and intercultural dialogue. Each year it welcomes more than 2,600 students, including many expatriates working for companies in the Lyon region. It is a unique place of learning and intercultural dialogue. In order to validate your employees’ French skills, AF Lyon organises exam sessions for the DELF and the DALF as well as for the Test de Connaissance du Français (TCF). 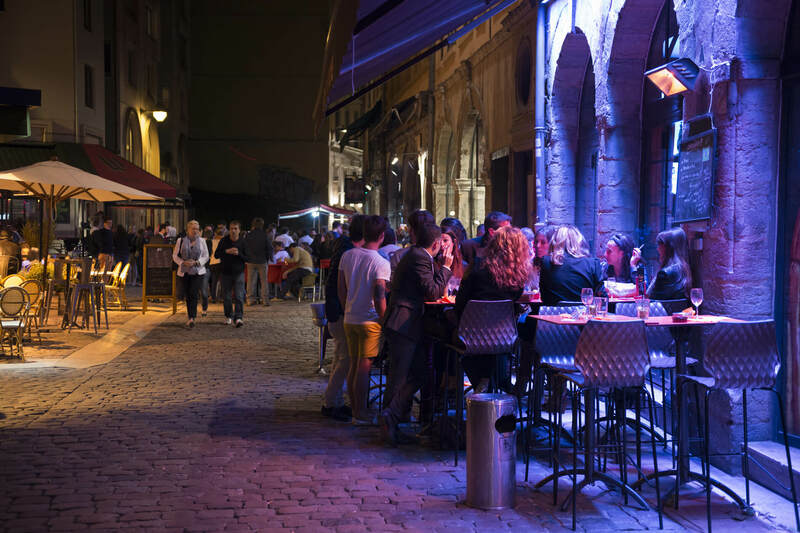 The Alliance française de Lyon offers a wide range of cultural activities to reinforce students’ French skills and facilitate your employees’ integration into life in Lyon. As a UNESCO Club, AF Lyon regularly organises cultural events for the general public. Do you work mainly in Lyon? The Alliance française offers group lessons at its centre in the 3rd arrondissement next to Place Bahadourian as well as on-site (at clients’ homes or places of work, according to their needs). What services does the Alliance française de Lyon provide for companies? In general, employees of companies in Lyon choose to take extensive basic French lessons (16 hours per month) on Tuesdays and Thursdays from 6 to 8 pm. This time slot is convenient for employees, allowing them to take French lessons in the evening after work. The Alliance française also offers lessons that are tailored to your goals, your needs and your requirements in terms of hours per week. Our educational director will work with you to prepare a customised programme. Our educational director acts as a single contact point and will work closely with your company’s human resource manager and the employees who will receive training. Do you work directly with individual clients or mostly with companies? The AFL welcomes many individual students. About 20% of our students are clients whose lessons are funded by their employers. What makes you stand out from the competition? The long-established expertise of our global network of partners is a sign of the quality of our teaching methods and opens doors to many international projects. Our flexibility in terms of lesson schedules and content allows a more tailored response to the needs of companies who come to us to provide French training for their employees. Who should I contact at the Alliance française?